It is also referred to as sewer rat, brown rat and water rat. This rodent infests warehouses, factories, garbage dumps, domestic properties among many other premises that offer shelter and food. Outside of buildings these rats mostly live in burrows, under buildings and stream/river banks. They will seek residence in buildings during the colder months, and will nest in wall cavities and roof voids within easy access to food and water. Norway rats will eat all types of human or animal foods and need regular access to water. These rodents become sexually mature within 3-4 months and can have 5-6 litters of between 8-10 babies per litter per year with the gestation period of 22 days. It is also referred to as the black rat and ship rat. This rodent is often restricted to the indoors of premises and possibly areas around seaports and cities, where their ability to climb makes their nesting sites in the upper parts of tall buildings. They can enter other properties via connecting cables. Within a property they will nest in wall cavities and roof voids and externally among vines and trees and they seldom burrow. Roof rats will consume a high proportion of vegetable and fruit material which means they don’t need as much access to a water source. 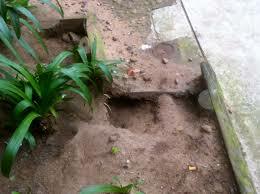 Fruit trees within or near your property boundary can attract these rodents closer to your premises. These rodents also reach sexual maturity within 3-4 months and can have 6 litters of between 6-8 babies per litter per year with a gestation period of 21 days. It is also referred to as field mouse. Mice can nest internally or externally of buildings but rarely travel more than 3-10 meters from their nest. Nesting sites typical for mice are wall cavities, cupboards, roof voids, cluttered garage/shed and various other locations internally, as for externally they nest in burrows. variety of foods including nuts, grains, fruits, meats and animal foods and don’t need vast amounts of water. Even though they don’t eat drastic amounts of food, food contamination is a problem with urine and faeces in food products which transmit diseases. These rodents become sexually mature after just 8 weeks and can have 6-10 litters of between 5-6 babies per litter, per year with a gestation period of 19 days. Mice can multiply to plague proportions very quickly if left untreated. This is the main aid in knowing you’ve got rodents. When droppings are shiny and dark, it means recent activity, dull means older activity. Damage to stored food items and skirting boards. Rats and mice will chew their way through cardboard boxed food items and make their own front door into your property. Other damage which can be caused by rodents is chewing through your heating ducts and wiring in your roof void or subfloor which can cause the loss of heat and even the possibility of fires. Residents of properties will hear noises during the evening and nights, often described as scratching, bumping, squeaking, clawing and even fighting. Gnawing. Rodents must gnaw to keep their incisors (teeth) from overgrowing. They gnaw skirting boards, food containers, conduits, cables/wires and copper pipes. 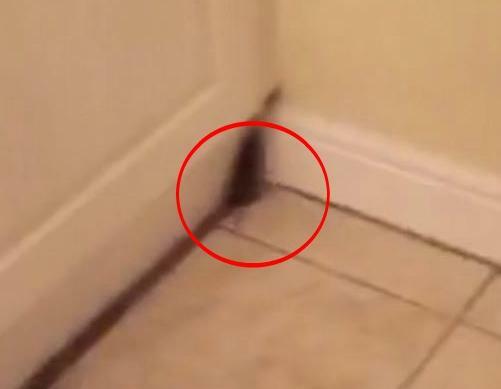 Long term presence of rodents creates a distinct odour. If you’re seeing rodents during the day it suggests you’ve got a large infestation. Most pets are territorial and sensitive to different odours and noises. Dogs especially may become very excited, sometimes clawing and barking at the part of the building where rodents are active. If you live near any of the following you’re more prone to have rodent issues. Contact us for rodent treatment details and an accurate price.